The Finishing Touch: Best Stitching Year Yet! Sending Best Wishes your way for a wonderful 2016. We are attempting to catch up with the calendar. 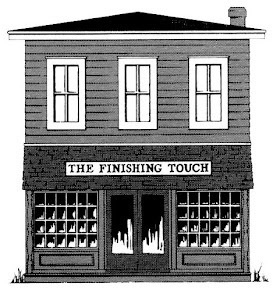 We have finished inventory and now look forward to new and exciting things to come. 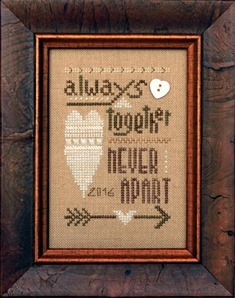 Thank you for your continued support – let’s make 2016 the best stitching year yet. First on our agenda for 2016 is a Trunk Show from Carriage House Samplings. The show begins on January 23rd. 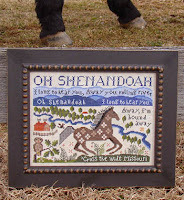 If you are not familiar with Carriage House designs, the Map of Hawk Run Hollow and Shenandoah, shown below are samples. We look forward to sharing these beautiful designs with you. Our favorite market in Nashville will be held March 4-6 this year, so be prepared for loads of new designs, fabrics, accessories and who knows what! Mark your calendar for our MARKET SATURDAY on MARCH 12, 2016, from 10-4. Join your friends for a fun day. Of course, before time for market the designers are busy sending us new goodies. 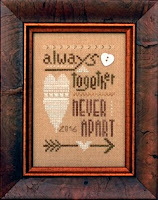 Coming this week is 2016 Collector’s Heart Kit from Heart In Hand – shown below. 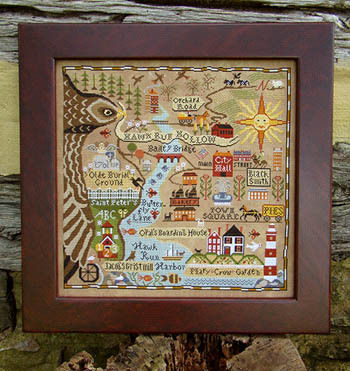 Sweet Home is the 4th design in a 12-part Garden Club Series by Blackbird Designs. This part is a unique floral highlighted with hearts and a bee. We also have the previous parts to keep you up to date. 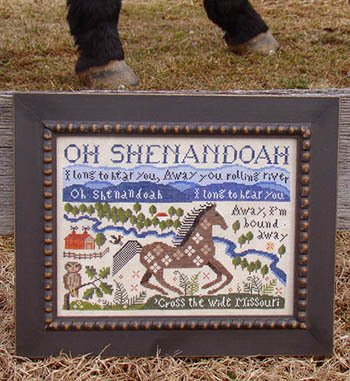 Pine Mountain has several new small winter designs including January Snapshot, pictured here. 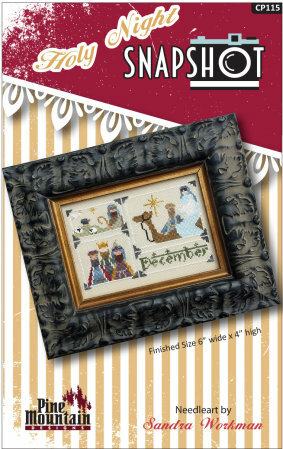 There is a quick to stitch design for each month in this Snapshot Series. 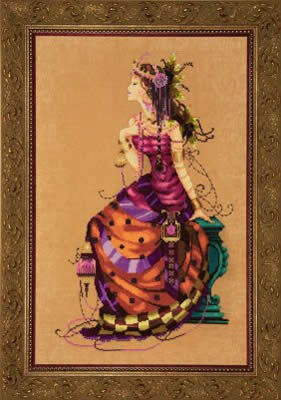 Gypsy Queen, new from Mirabilia, incorporates a beautifully-colored gown accompanied by jewels and a spectacular headdress fit for a queen – design also shown here. As you can see, there are many new projects here for you to choose and more coming constantly. Drop by and see what’s cooking.